Douglas Jennings MRBS is a London based critically acclaimed UK sculptor. He has developed a reputation for producing public sculpture that captivates with its level of detail, naturalistic style and the beauty of his work. Douglas trained as a classical sculptor and is a life member of the Royal British Society of Sculptors. In 2015, the quality of Douglas’s work was commended by the Public Monuments and Statues Association. He was presented with the ‘Marsh Award for Excellence in Public Sculpture’ for his WWII memorial statue of Squadron Leader Mahinder Singh Pujji. This was commissioned by Gravesham Borough Council and is located beside the River Thames. Douglas produces statues that have a level of detail and accurate portraiture rarely seen in public sculpture. He has developed a classical style that remains relevant, due to the hyper-realistic finish he is able to achieve. 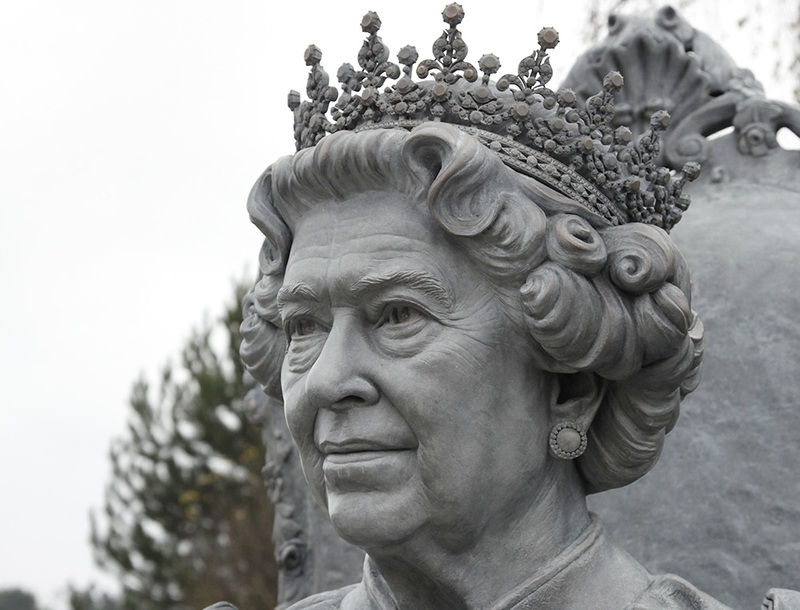 This is very clearly demonstrated in his latest commission, a commemorative statue of HM Queen Elizabeth II, unveiled in July 2018. Douglas Jennings specialises in producing monumental artworks for public figures in the world of sport, entertainment and politics. His artwork is in private and public collections worldwide.